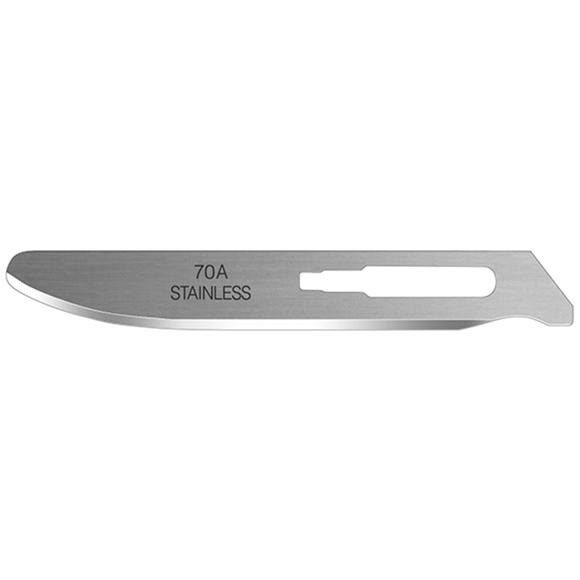 Havalon Knives' new blunt tip #70A blade prevents any accidental damage that may occur while skinning and caping. It's just as thick as our #60A blade, the only difference being the blunt tip at the end. Avoid unintentional punctures to your hide using the same surgical precision that only a Havalon can deliver. Havalon Knives&apos; new blunt tip #70A blade prevents any accidental damage that may occur while skinning and caping. It&apos;s just as thick as our #60A blade, the only difference being the blunt tip at the end. Avoid unintentional punctures to your hide using the same surgical precision that only a Havalon can deliver.